Institute: CEQLS Lecture: Peter J. Boettke: Why Are Some Nations Rich and Others Poor? CEQLS Lecture: Peter J. Boettke: Why Are Some Nations Rich and Others Poor? Why Are Some Nations Rich and Others Poor? Peter J. Boettke is a university professor of economics at George Mason University, the BB&T Professor for the Study of Capitalism, vice president for research, and research director for the Global Prosperity Initiative at the Mercatus Center, and the deputy director of the James M. Buchanan Center for Political Economy. 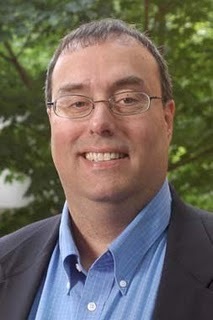 Before joining the faculty at George Mason University in 1998, Boettke taught at New York University. In addition, Boettke was a national fellow at the Hoover Institution for War, Revolution and Peace at Stanford University during the 1992-1993 academic year. He has been a visiting professor or scholar at the Russian Academy of Sciences in Moscow, the Max Planck Institute for Research into Economic Systems in Jena, Germany, the Stockholm School of Economics, Central European University in Prague, Charles University in Prague, and was the F. A. Hayek Fellow in 2004 and 2006 at the London School of Economics. In 1998, Boettke assumed the editorship of the Review of Austrian Economics (Kluwer Academic Publishers). The Review of Austrian Economics was founded by late Murray Rothbard in mid-1980s to promote research and the further development of the Austrian school of economics. Prior to assuming that editorship, Boettke was the editor of Advances in Austrian Economics. Since the mid-1990s, he has also been the director of the Advanced Summer Seminar in Austrian Economics, a post he took over from Israel Kirzner. Boettke is a former president of the Society for the Development of Austrian Economics.